Trying to find ways to increase vegies? Are you struggling to meet your 5 serves of vegies each day and looking for ways to squeeze more into your daily diet? Read on for some easy suggestions from Scope Nutrition. Prepare a healthy snack or platter that’s packed with energising nutrients. 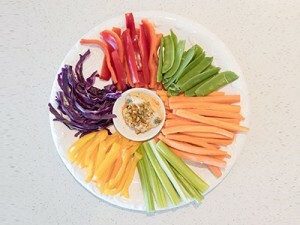 Dip sticks of carrots, cucumber, grape tomatoes and pickled vegies into low fat hummus or tzatziki dip for extra pizazz!! 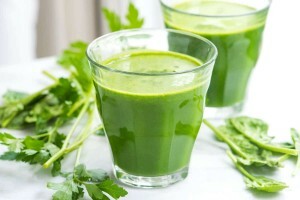 Try blending a combination of celery, cucumber, baby spinach or kale, ginger, mint, lemon juice and plenty of ice – they’re all filled with so many vitamins and minerals, your body will celebrate! Add a half a chopped apple for extra sweetness. Try serving toast with cooked mushrooms, tomatoes and sweet corn. Add mushrooms, onion, tomatoes, capsicum, sweetcorn, spinach and chilli to your favourite omelette. For more delicious ideas or serve with pancakes for a savoury flavour. Cook pasta of your choice, add frozen peas in the last few minutes of cooking. Combine 2 cups defrosted peas, ½ cup reduced salt chicken stock, a few mint leaves and ¼ cup grated parmesan. Season with cracked pepper and blend until smooth. Serve with chicken, steak or a lamb roast for a delicious puree. As always we invite you to talk to us further about your weight-loss goals. Contact us today!